Serving up slurpy noodles doesn’t get any easier than crock pot Asian beef and noodles. The distinctive flavors of simmering beef with peppers and onions, soy sauce, ginger and garlic are a welcoming aroma after a long day. It’s simple and soupy and incredibly satisfying. This has been a hectic week (in a good way) and I was grateful to have my crock pot at the ready. What busy mom doesn’t love her crock pot? Not only does crock pot cooking make meal preparation effortless, a crock pot works wonders. It’s capable of turning a normally tough, inexpensive cut of beef into something tender and flavorful in a single bound. In a large skillet, heat oil and brown beef strips in batches. Sprinkle with black pepper and granulated garlic and toss to coat.Transfer to crock pot. Layer peppers and onions on beef and top with tomatoes. Mix soy sauce with water and ginger and pour on top. Add a few dashes of Worcestershire, if desired. Add 1 package of soba noodles to crock pot and cook until noodles are tender. Ladle into bowls and serve with additional reduced sodium soy sauce. 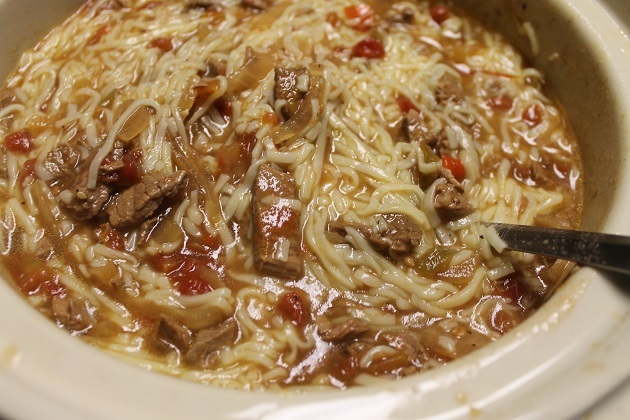 This recipe is an adaptation of Taste of Home’s crockpot pepper steak. Hosting a July 4th pool party/barbecue is as much of a tradition for my family as is having baked beans on the menu. In years past, I often prepared a longtime favorite recipe called “Calico Beans” that I’m sure is available in multiple versions in a million places all over the web. This year was going to be different. It was supposed to be anyway. Besides not being in a drought (thank you, Lord) – and, therefore, not having a burn ban on fireworks – this year I was going to make entirely homemade crock pot beans from scratch. My intended crock pot beans would not contain anything from a can and would have a tangy-sweet sauce that would give the beans a little somethin’ somethin’ to set them apart from traditional sweet barbecue beans. This year’s crock pot beans would begin with good old fashioned beans that require soaking just the way Grandma made them. Yes, well, if you have a tendency to look to save time like someone else I know and have a smidgen of Type A in you I’d give the “entirely from scratch crock pot beans” idea some more thought. Although I followed the quick soak instructions to the letter, my beans would not soften to save their little bean lives. 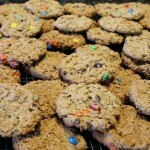 After cooking overnight they were still little nuggets of rough roughage. Despite my valiant effort of transferring what looked like deeply flavorful barbecue beans to a large kettle, adding water, and cooking some more (boiling is more like it), my beans were a bomb. Not to be confused with “the” bomb. My nostrils and taste buds must have been skewed because it was Hubby who regrettably informed me that my beans tasted burned, were still hard, and there was seemingly no amount of cooking that was going to soften them or salvage them at this point. With less than two hours to go I had to create a semi-homemade version of my intended tangy-sweet crock pot beans. And since you’re reading about it here you know they were “the” bomb and I now have a new speedy go-to recipe for baked beans. 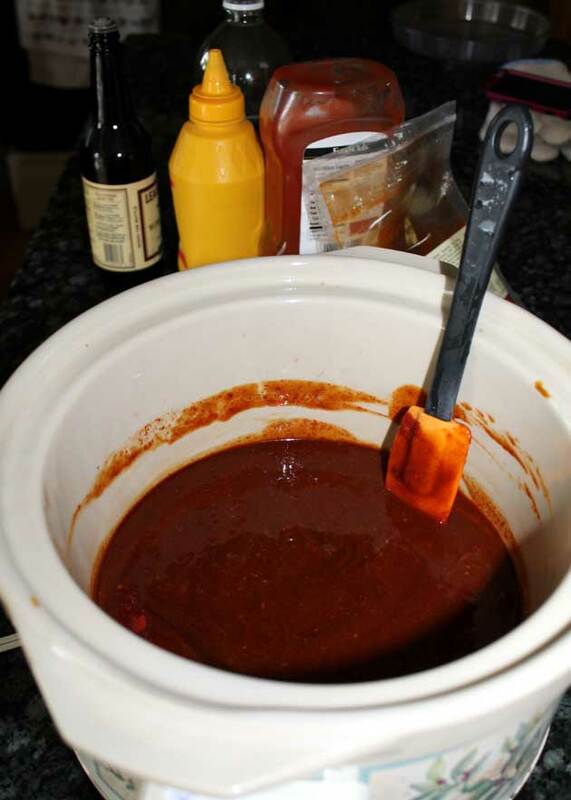 Step 1: Add sauce ingredients to the crock pot and give it a good stir (ketchup, molasses, apple cider vinegar, yellow mustard, Worcestershire, smoked Spanish paprika). Step 2: Being mindful of sodium, I sauteed 4 strips of low-sodium bacon and retained less than a tablespoon of drippings to which I added one very large chopped onion. Step 3 End of homemade begin semi-homemade: Open six 15 oz. cans of any combination of your favorite reduced sodium beans, rinse well and toss into the crock. Step 4: Give it all a good stir, cover, and cook on low 4 hours or on high for 2 hours. I used a mixture of pinto and northern beans, although lima and kidney beans would have been a nice colorful addition. 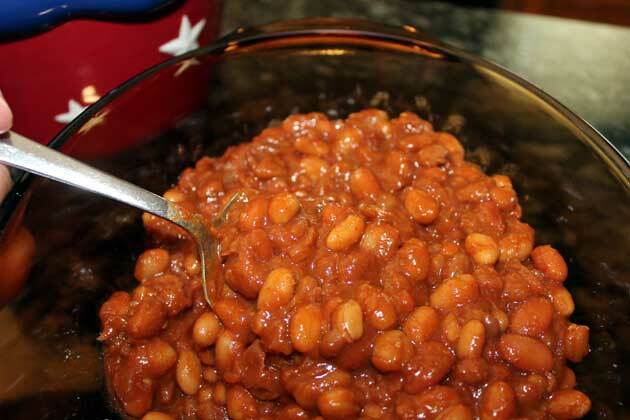 These barbecue beans have more tang than sweet and are a nice, tasty change from regular beans. 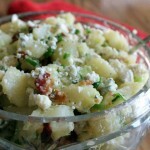 Crock pot preparation makes them a quick and easy go to recipe with no fuss. Add the first six ingredients to the crock pot and stir. Saute bacon until fat begins to render and bacon begins to brown. Drain well, reserving 1 Tbsp fat. Add diced onion and brown a bit. 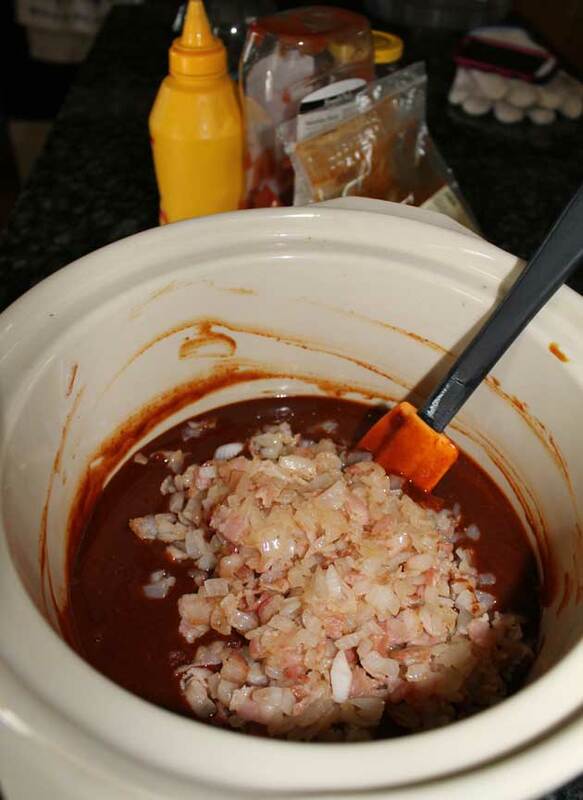 Transfer bacon and onion to crock pot and add you favorite combination of beans. Mix well and cook on low for 4 hours or on high for 2 hours. My sister was the first to comment that this year’s beans were different in a tastier way and my anti-sweet-bean brother-in-law went back for seconds. In the end, my crock pot beans weren’t entirely from scratch, but they were semi-homemade and full of love.